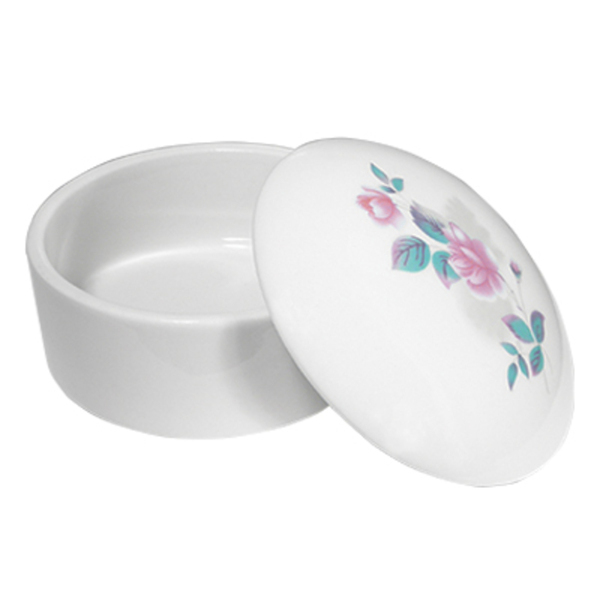 120 mL round porcelain jar with floral design. Perfect for storing liquid monomer or acrylic powder. 2"H x 3-1/2" Diameter.